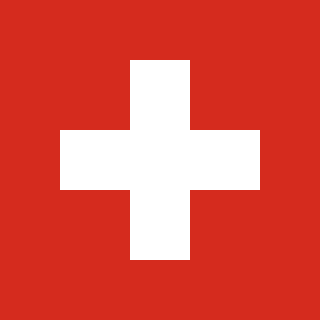 I'll be blunt and say it right away: I have very little to say about the Swiss entry. Mainly because it is yet another polite almost-ballad that isn't bad as such - by this time in semi 2 that kind of entry has really piled up, right? - but escapes me as soon as it finishes. I listened to it many many times and still have no idea what it sounds like. I have a faint recollection of Mélanie's visual appearance but the song vaporises at once. Let me instead point out what a silly thing it was for the Swiss to let every performer sing a cover version in addition to their entry in the national final. What difference does it make if somebody can sing another song beautifully if their own song doesn't have what it takes? We don't really need more people who can sing beautifully, we need more star quality and more engaging songs. Oh sorry, I'm straying from the subject. There's nothing wrong with Mélanie or her voice, but her song just goes on for three minutes before ending. It lacks focus, it lacks ambition, it lacks personality. And that won't do. No. I said the same about Sebalter too last year, so maybe I'm equally wrong here. But the Swiss would have to pull out every trick they could think up in order to make this one many people's top favourite. For some reason, that I really failed to put my finger on so far, some of the loudest eurovision fans online don't want Sweden to do well this year. Maybe they think it is too soon for Sweden to win again. Maybe they think Sweden has grown too influential within the EBU. Maybe they would like to travel somewhere else. Some may even have taken issue after reading about that time when Måns Zelmerlöw made a few less tactful comments concerning homosexuality - something he has repeatedly apologised for since. All of this will probably matter very little once the televoting masses are let loose. They will know very little about these things and care even less. They will see a charismatic and convincing performance of a hit-friendly and strong song and are likely to vote like crazy. And then the tiny details for the record. 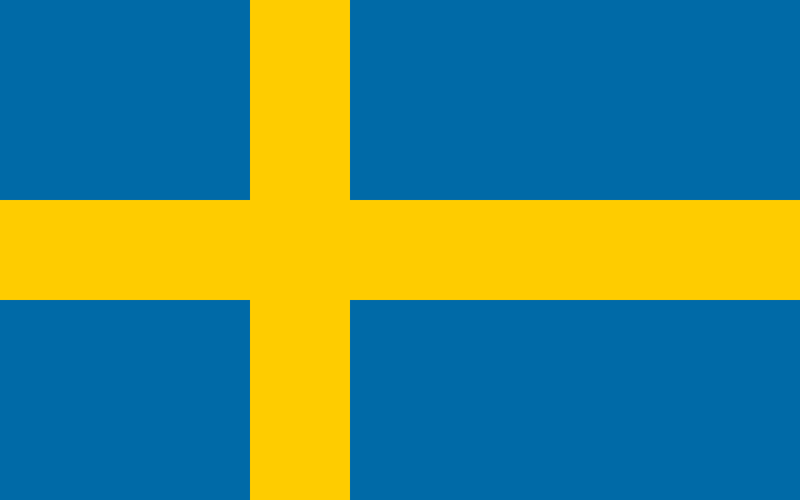 No, I am not biased - I don't automatically support Sweden, something the readers of this blog should be aware of. Yes, I think the song is good also without the visual presentation. Yes, I think this is the most likely winner of the whole big shebang in Vienna. Yes, without a doubt. And my jaw will drop should it place lower than third in the final. 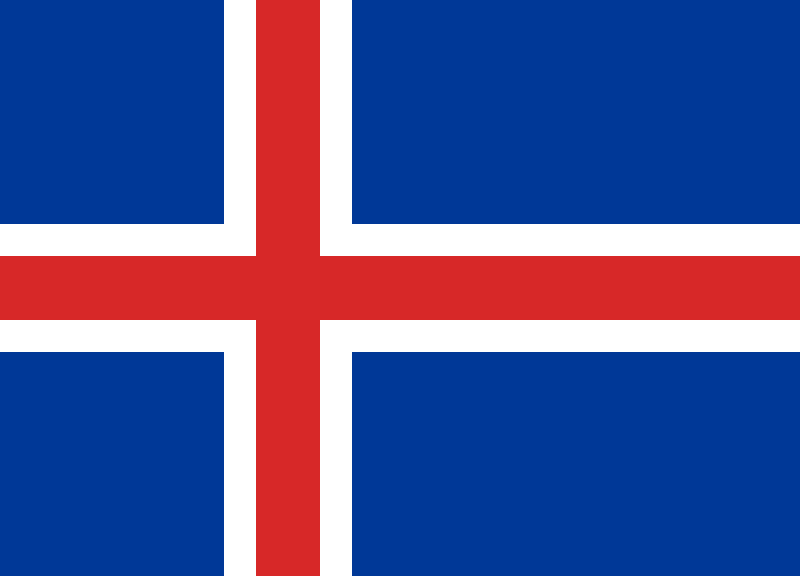 I read somewhere that the colours of the Icelandic flag were chosen to represent the ice and the volcanic fire. I have no idea if it is true or not but it sounds so good I'm going to stick to that story anyway. It has often been typical for Iceland's entries too. Icily elegant with loads of heat bubbling under the surface. How many times I loved their entries and hoped to see a final in Reykjavik. I'm still hoping but for the last ten years or so, I've seen far too little of that musical magma going on. Iceland has gone remarkably polished and polite. Nice but not an awful lot more than that. It usually pays off enough to grant a spot in the final without resulting in any particularly impressive placing there. This year's song fits perfectly into the formula. It's catchy and friendly - more nice than anything else - and performed in a very good mood. There are glimpses of a temper here and there but I miss the days when Silvia Night would step out in style and make everyone go crazy. It must be time soon for a bit more of beating heart and less politeness coming out of Iceland. Yes, surely. It will get to the final and then be 15th or so there. Business as usual. 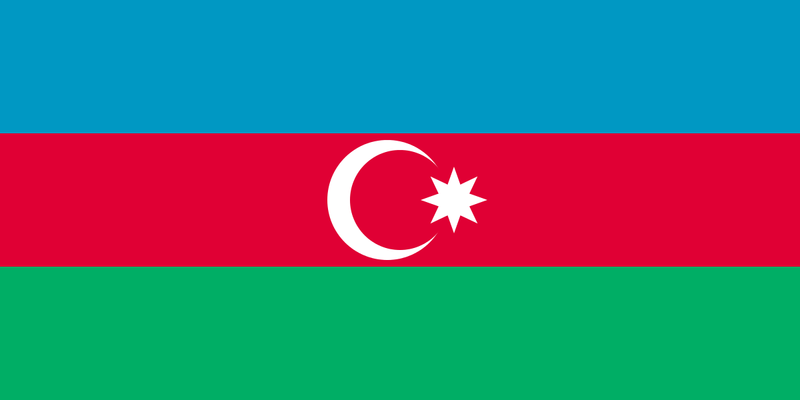 Azerbaijan keep doing what they do best: get foreign talent - songwriters, choreographers, backing vocalists, stylists - to fashion an entry for some local performer to wear on the catwalk that is the eurovision stage. Despite their disappointing showing in Copenhagen, they seem keen on continuing to get more sophisticated and slightly more demanding songs. Something I must applaud them for doing. Not playing safe is a trait I appreciate. Just like the 1968 French entry, it seems to draw inspiration from a film by Ingmar Bergman - perhaps not too surprising given that the main songwriters are from Sweden. "The Hour of the Wolf" - Bergman's only real horror movie - tells the story of an artist haunted by nightmares before finally crossing the line and falling into madness. Both the lyrics and the clip seems to have borrowed tiny elements from the film and I can't decide whether it's clever or pretentious. More clever, I think. I sort of like it. I sort of like the song too. It's introverted yet acting out at the same time, but in the end I find myself overwhelmed by it. The chorus gets very noisy. Suddenly it just sits down on your lap and shouts into your face. I would have toned it down a notch. Abba's victory shaped Eurovision in many ways for so many years. Their two girls/two boys-formula was easy and attractive to copy, and their song-writing style has inspired an abundance of songs through the years ever since. Possibly Loreen won't be a lasting influence the way Abba was, but she surely left her mark too. Not least because people tend to call any slightly airy dance track a Euphoria-clone either it is called for or not. But the song that comes closes to the artistry of Loreen this year must be this experimental vocal pop from Latvia. Aminata takes the stage like a queen - warm and icy at the same time - and turns out to have a voice totally of her own. "Love Injected" starts out like a very minimalist number to erupt in a big chorus with very present backing singers providing a most unusual vocal support. I'm always easily impressed by people taking chances in this contest and logically I melt like butter for the Latvian attempt. I wouldn't mind a slightly more accessible chorus, but that's a detail. Yes. I want to believe it pays off to be bold and original. 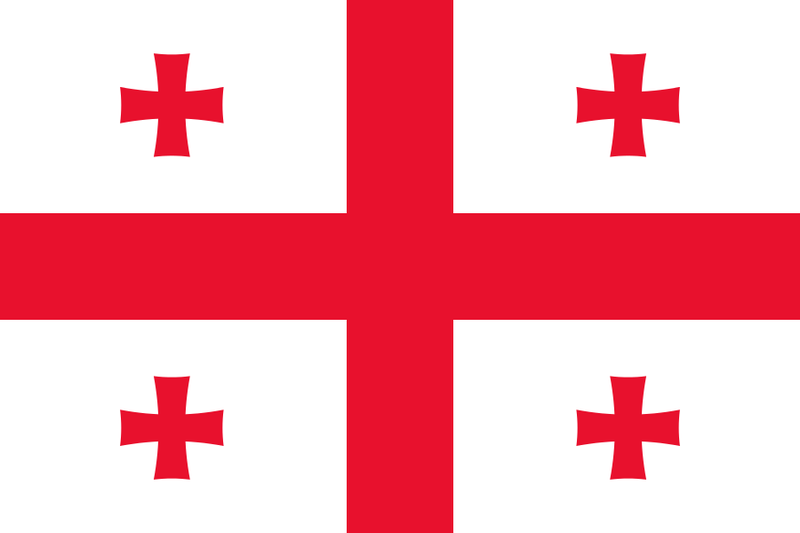 And Latvia would surely deserve some retribution after six failures in a row. They made it look so easy for so many years: a happy song delivered with a wide smile and a simplistic dance routine and the votes would fly in from every corner of the continent. 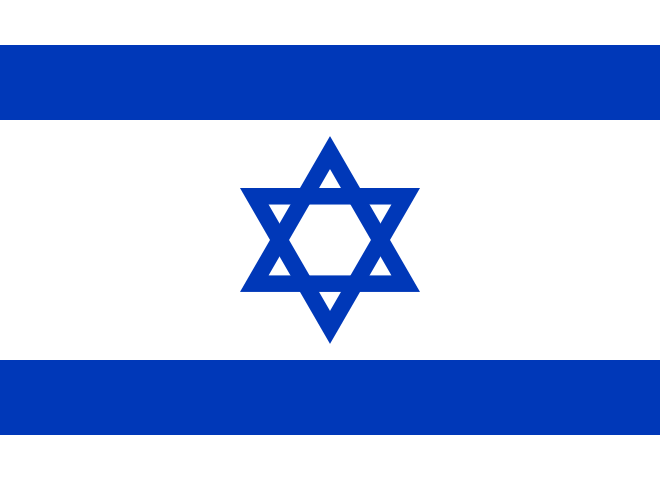 Israel used to be a real force of nature at Eurovision. And now it feels so long ago. Ten years ago Shiri Maimon came very close to winning but since then things have gone downhill and Israel has flunked in the semi final on four consecutive occasions. If there's any justice in the world, they will flunk again in Vienna. It looked so promising at first with the enthusiastic youngster who won the national talent search by a landslide. He seemed like a likeable chap with a good voice and a youthful charm that could break through to the audiences. Then he was set up with "Golden Boy" and I don't know where to start. Oriental-flavoured pop is never a bad thing but it has to be done well. This song twists and turns and changes direction throughout three endless minutes, and is completed by a lyric that doesn't feel credible at all coming out of the mouth of this particular singer. I'm really wishing for Israel to get back into shape and show the world how things should be done but this is one of their weakest attempts since Lior Narkis in 2003 (a.k.a worst Israeli entry ever). However, they are lucky this time around to provide some tempo and cheerfulness among all the ballads. Borderline. The ESC fans online seem to like it, but will it be anyone's favourite? Who will vote for it? I doubt the juries will. The Czech republic took part three times with disastrous results before pulling out and I for one thought they had left the party forever with no intention of returning. That they decided to come back could be seen as a big a surprise as Australia's participation. In a seemingly ambitious internal selection they singled out this dark and moody ballad, performed by two of the most established rock vocalists to be found on the local scene. And the final result feels polished and professional. Marta and Václav are most appealing together and have great voices but unfortunately the song in itself never takes off. It slowly builds and builds, promising a climax that never really comes. Most of all, it reminds me of neighbouring Slovakia's 2009 effort which was also musically solid and performed by a talented duo and - as a cherry on top - had a vocal explosion on offer by the end of the song. All that hard work and all they got was a second last place in their semi. I'm afraid the Czech couple won't do much better. I always like this song every time it plays and then I'm perfectly incapable of remembering a single note of it once it's gone. No. Sadly not. I would have wished it to, just to encourage Czech television to stay with us this time. 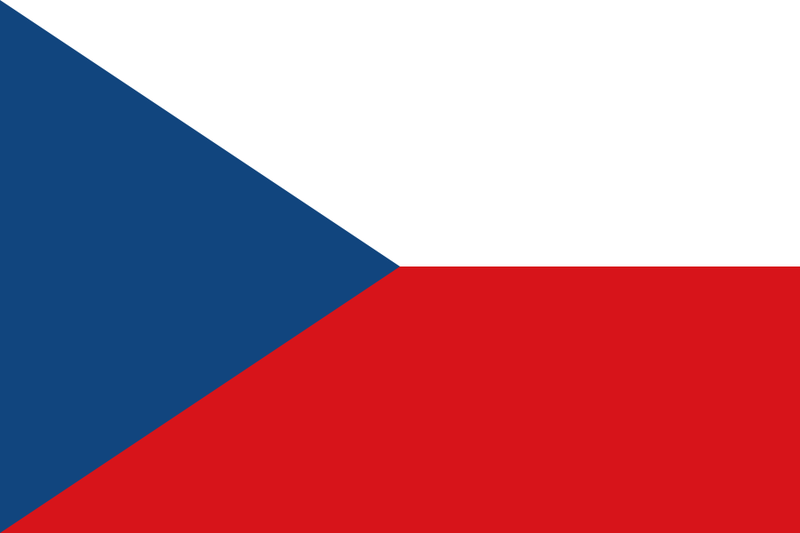 Czech republic is the only country in this year's line-up that has never performed in an ESC final. Hope never dies. 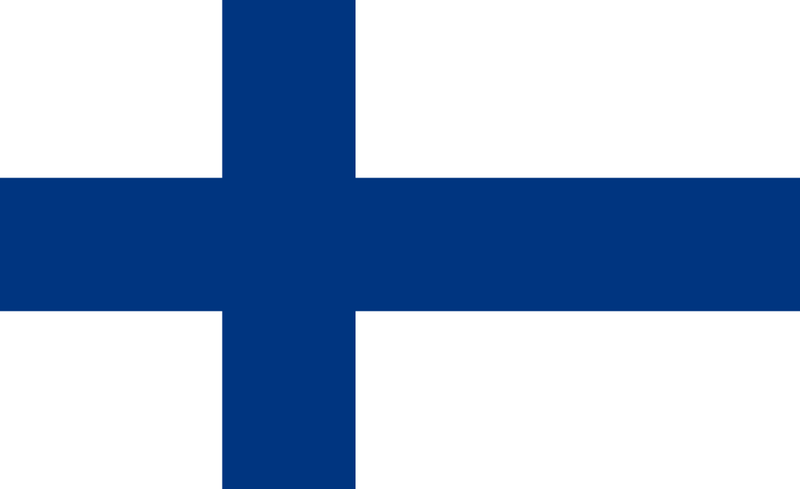 For many years, Finland and Portugal walked side by side through Eurovision with the shared distinction of having the biggest number of participations without a victory. 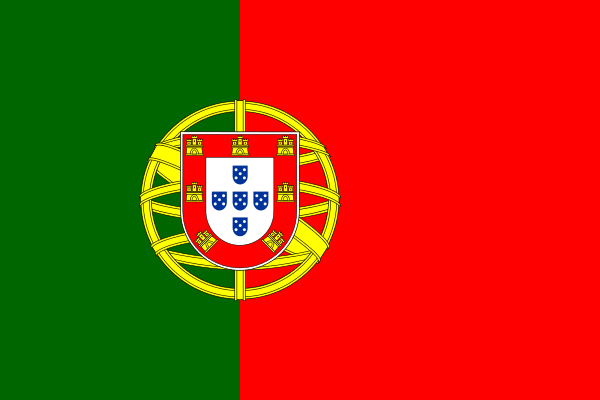 Since Lordi's victory, Portugal travels down that route alone. A couple of years ago, it felt like RTP had sorted out a few problems and kept sending solid entries that made it to the final. It felt like it could be a matter of time until they won too. Then they lost it and fell back into semi final hell again. That could be about to change for the better this year. Not only did the best song win the national final, it has also been given a most welcome facelift since then. It's a simple and straightforward little tune with a good hook, but will it stand out? The risk is that it will feel like a nice little break and be forgotten by the time the phone lines open. Borderline. As always with Portugal, they need a bit of luck also. But the song is good - I liked it at once and it grew on me ever since. Drama was always something the Norwegians were good at. Just look at Ibsen and you will know what I'm talking about. 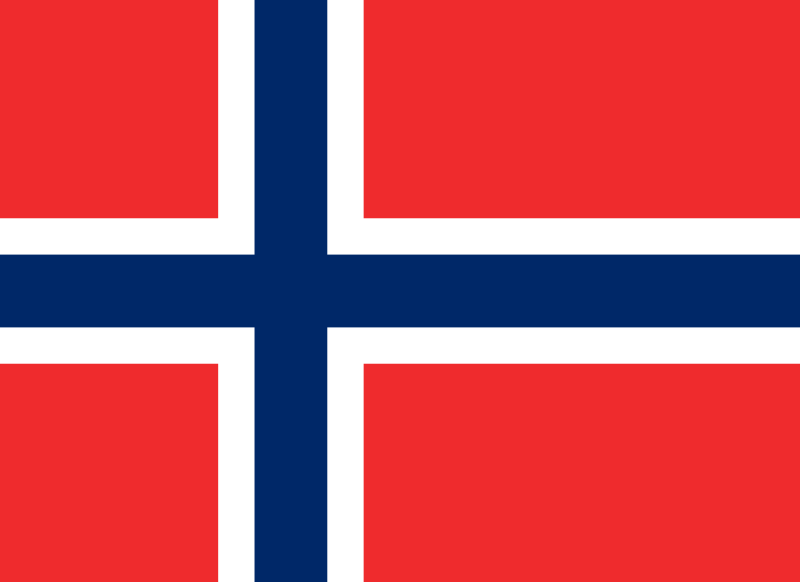 Ever since Silje Vige's half whispered effort in 1993, Norway's been pretty good at using their dramatic skills in Eurovision as well. Last year's "Silent Storm" was an impressive piece of subdued drama in itself, but this year's entry manages to outdo most previous efforts. Trembling voices, loads and loads of pathos, and a dark horrible secret from the past that has resurfaced only to destroy all the love and happiness and leave everyone involved shattered. Does it sound a bit heavy and a bit much to cram into three little minutes? It is. You really must want to buy this ballad melodrama or you'll find yourself puzzled at best or disgusted at worst. Because - honestly - it is pretty pretentious. Pretentious but powerful. Unfortunately the live version doesn't live up to the atmospheric studio version but I hope they will nail it in Vienna and keep Norway in the top ten for another year. Yes. Too much of everything in a way I really like. Divisive but in a good way. One of my longest standing dreams is to see Malta win and host the ESC. It's intriguing how often small nations like Malta and Iceland can come up with entries that work and attract points while some of the bigger ones with bigger music markets keep failing and failing. 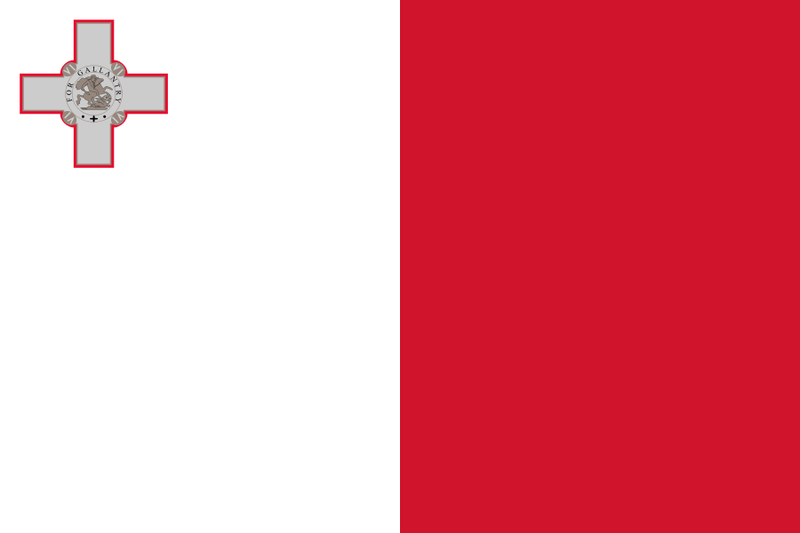 The last Maltese entries have all been hooky, likeable and professional to an extent that allows you to almost forget how tiny this island state really is and how improbable it is that they will produce as many good songs as they do. Well, here comes a reminder. Nobody can get it right every time, and the Maltese get quite a few things right also here. Amber is likeable (even if the range feels a little bit out of her reach at times) and the song is flawlessly produced and sounds like any modern pop ballad that could be played on any commercial radio station. If it wasn't for the fact that the song in itself is little more than a whole load of nothing. It takes a while to discover just how absent any kind of chorus is, but once you do the whole composition just collapses. Voice, performance and production are just there to blur our vision and make us think Amber has been giving something meaningful to sing. Which she hasn't. No, I don't think so. It will take a lot to convince the people who want ballads since they have so many to choose from. People are ungrateful. Give them what they want for a long time and sooner or later they won't want it anymore and turn to something else for their amusement. Denmark experienced this when the 1980's came to an end and nobody wanted their apple-cheeked uptempo songs anymore. It took a long time for them to find their way back to success. A bit like the Danes, Željko Joksimović has it coming too. Eleven years ago "Lane moje" hit Eurovision and turned the Big Bombastic Balkan Ballad into the hottest thing since sliced bread. Eleven years is a pretty impressive lifespan for any musical style at the ESC, but it seems the audience's fascination is fading slightly. Also, Željko clearly didn't pour his heart and soul into this one. Montenegro probably called him, he asked how much they would offer and wrote a song that reached up to that standard. Knez is a nice but unremarkable performer - very much like Sergej last year - and will need a cleverly staged performance to break through to the televoting crowds. It's nice but it's no Lane moje, to put it simple. Yes, surely. This is likely to qualify and then place somewhere around the middle or slightly below in the final. Which is probably pretty much what it was designed to do. After three years, Valentina had finally had it with representing the Most Serene Republic in competition and I was hoping Ralph Siegel would have the wit to step down at the same time. It would have been an excellent opportunity to do so. Making it to the final in Copenhagen would have allowed him to leave on a positive note with some of his former glory restored. Instead he decided to hang on to the contest and give all his detractors more ammunition than they could possibly carry. The song he wrote isn't all bad - especially if you tend to like the kind of fluffy schlager pudding that was his 2006 entry for Switzerland - but it doesn't suit the young performers at all. This duo with precious experience from Junior Eurovision would have deserved to dig their teeth into something fresh and modern and exciting and all they are left with is this unfashionable mush about peace on earth and lighting up the candles in your heart. For the first minute or so, the whole thing even sounds a bit promising. It isn't badly produced or anything. Which leaves me wondering why Siegel can't just produce the Sammarinese entry without writing it himself. Sad to see a legend lose his touch like this. No. The song is too messy and has nothing to make it memorable. 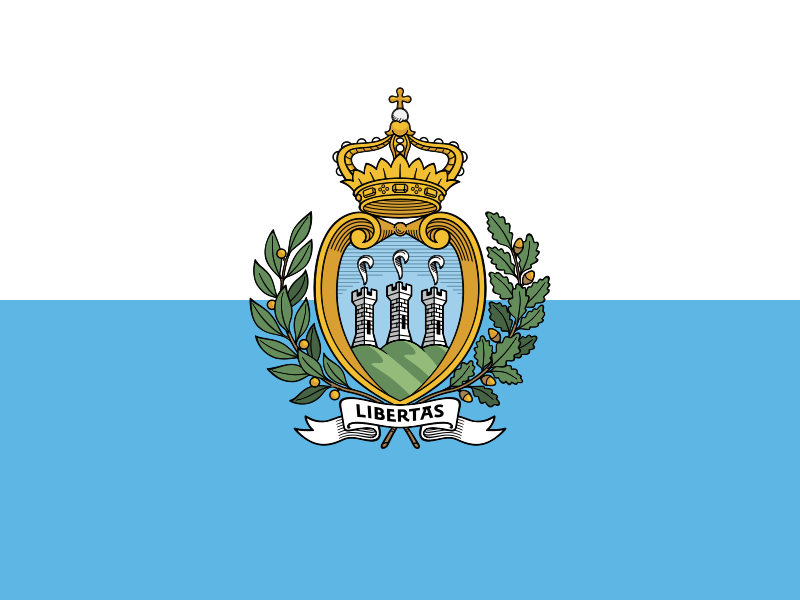 San Marino deserves better than this. And so do these singers. I was around to see the Emerald Isle almost win this contest to death in the 1990's and have admittedly been a bit reluctant to liking their entries ever since. Childish, perhaps, but my initial gut reaction to Irish ballads have for many years always been highly negative. I didn't think much of this year's entry either until I heard the studio version and saw the video clip and was totally blown away. There is something deeply sincere and sensual about this song, how it is juvenile and mature at the same time, and something in Molly herself and her way of performing makes me think of a very young Kate Bush at her piano. In short, I haven't loved an Irish Eurovision ballad this much since Niamh Kavanagh won in Millstreet twenty-two years ago. And it breaks my heart that I have absolutely no faith in it doing well. In this endless stream of slow tempo songs - many of which admittedly pretty bland - the chances of Ireland standing out in many people's minds by the end of this semi are low indeed. Placing this warm and personable little song at the second spot stands out as the injustice of the year, at least in my mind. Borderline. Hopefully the jurors will appreciate all the qualities on offer here, but what are the chances? I sure hope Molly will be the hit she deserves to be, regardless of the final outcome. In a last moment decision, Vaidas and Monika decided to sing together instead of competing against each other in the national final. A move I think most broadcasters would have objected against had it happened in somebody else's national final. Rules aside, it proved to be a clever thing to do. The song is deceptively simple but needs sparkle and conviction. Vaidas is pretty and sings well but has given quite a wooden impression on stage. Monika has been nice but unspectacular on her own. Put them all together and the sparks start to fly in a completely different way. They still have work to do, though. Maybe they are as fond of each other as the lyrics imply but this is a televised song contest where you have to perform for the cameras and not for your singing partner. This duet must open up and stop excluding the audience watching them. It's also unfortunate to perform a song as bouncy and cheerful as this one as the first one when there will be so many slower ones coming on later. Coming in after a few of them would have cemented this Lithuanian ditty in the final. Yes, probably. This one is ridiculously upbeat and silly-in-a-good-way and that should carry all the way, but perhaps not too far in the actual final. We've had quite a few entries of this kind: the hard, energetic rock chick that is convincing and sensual at the same time as slightly aggressive and intimidating. 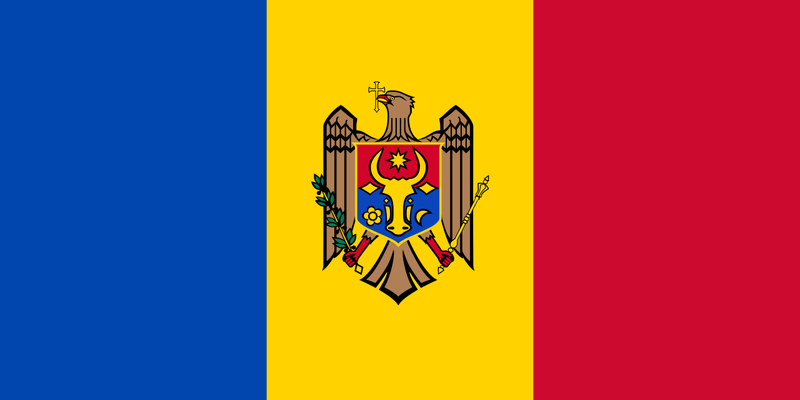 They've been in no short supply for the last ten years or so and so far nobody has done it better than Moldova's Natalia Barbu back in 2007. Nina Sublatti isn't that far behind, though. Her song went through some pretty successful tweaking and sounds pretty convincing. There is the risk that this one will come across as more high-pitched and screechy for anyone to particularly enjoy it, but in its current form it works quite well. It also has the lucky break of being the first of two songs with identical titles and similar themes. What works against it is perhaps that this hardly is the chorus all Europe will sing along to or hum in the shower the next day. It's a bit volatile and not as catchy as it could be, but has the huge advantage of coming last in a semi final full of pretty but similar-sounding songs. Yes and not only thanks to its spot in the running order. Having songs with a message can be rather complicated. Singing about your wish for world peace, for instance. Or about children in need. Unless you have a perfect sense of fingerspitzgefühl you easily end up sounding cold and cynical. Like you don't really care but want to cash in. Voltaj really manage to pull this one off, but then their narrative is pretty specific and unusual. Their song tells the story of a real problem, about how Romanians leave their country in order to find work and how many children subsequently are left longing for their parents who have gone somewhere far away without them. That feels real and poignant. Not like something thrown together for the sake of selling records, but like a message that could resonate with a Romanian audience as well as the rest of us (some of which aren't very keep on welcoming the Romanians in the first place). It is also a welcome return to form for Romania who contributed very light-weight entries for a number of years without really making use of their own musical capacity. Yes, beyond the shadow of a doubt. Not because Romania always qualifies but because this one deserves to. This is what I think happened: Elhaida Dani really wanted to go to Eurovision but not with the kind of song you need to win Festivali i Këngës. She played the game, won with a more traditional vocal ballad and then somehow managed to get the green light to switch her entry. If this is what happened, then maybe it was all for the better. FiK has been an unreliable tool for selecting successful ESC entries and going to the international final with a song you don't believe with is pretty pointless. I just wish she would have taken it even further and found herself a really modern song, something that would sound like a chart topper. This one is nice and gives her plenty of space to show off her fine vocal chords but doesn't really go anywhere. It never progresses beyond a pleasant little song you could hear on the radio. Elhaida has a lot of tv experience and could probably still have a few tricks up her sleeve regarding how to make herself remembered by the audience - and singing this close to the end is no disadvantage either - but will it be enough? If she starts sounding sharp and wobbly, like in the FiK semi finals, she won't get the juries on her side for sure. Yes. 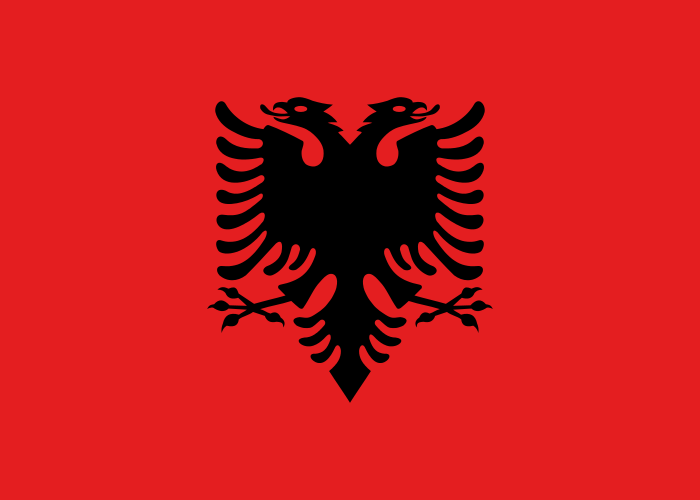 It should be easier for Albania to qualify than for Greece or FYR Macedonia. Not because the song is a lot better but because it had better luck in the running order. Sometimes when a song gets selected for the ESC you start liking it more than you did when it was just a potential entry in a national final. This is probably because you get the song singled out and you suddenly pay more attention to it than you did at first. Denmark's entry did the complete opposite in my ears. At first I thought it was OK, but then I found it a most disappointing winner. Square, unimaginative, typically happy-but-pointless like so many other Danish entries have been lately. Then we had all the songs for Vienna presented in the right order and suddenly something happened. Something clicked between me and Danmark and suddenly I find myself humming along happily, without getting annoyed. This lineup really needed something along the lines of what the Danes had to offer this time around. I have to just accept the sad fact that my own favourite at Dansk Melodi Grand Prix - the sublime Hotel A - probably would have sunk without a trace among the other mid tempo efforts while these lads with a slightly unhealthy Beatles complex manage to stand out. Yes, for sure. Easy, uncomplicated and a relief since it doesn't try to be clever or impress you or demand anything complicated from you. Just sit back and relax and let the Danish mood flow all over you. It's a sad sign of the times that you will have to start a review in 2015 by stating the seemingly obvious, but what won't you do in order not to be misunderstood. I have pretty strong views on things like politics. Human rights. Democracy. Minority rights. That sort of thing. That in turn means I disagree with a number of policies held by a number of countries taking part in the ESC. I am really trying not to let that affect my views on the entries from these countries. And already last year I wrote a post on what I think about booing at Eurovision. That opinion still stands. Russia isn't making it particularly easy for me, though. For the third year running, they enter a little song about how they don't wish anything but peace on earth. How they wish we could all see and accept that people are different and should be allowed to be so. The first verse is nothing short of dreadful. Unbearable. It feels like it is poking my eye with a dirty finger as it goes on. After that it does improve. The chorus builds into something more personable, more interesting, less offensive. And Polina Gagarina has a magnificent presence. Imagine what she could have achieved on a Eurovision stage has she been given a real song instead of a cliché-ridden propaganda piece. Yes. This will hit home in the right places and score consistent points without getting anywhere near a victory. Probably exactly what it was designed to do. I was trying to watch the Belarusian final but gave up after two songs. I had found a really bad link with poor sound quality and I felt life was too short to be wasted on watching performances where audio and video were not in sync. I came back for the winner's reprise - now on a much better quality link - and thought the chosen song was a nice little ditty and not much more. How your perception of one single song can change. The close-to-compulsory face-lift it has gone through since the national final is remarkable and - given all these medium paced and sometimes frankly dull entries in this year's contest - it finally stands out like something with temper, bite and bit of excitement surrounding it. The lavish video clip helps, of course. If the live performance turns out to be either too over the top or flat and lifeless, its chances might fade very quickly. 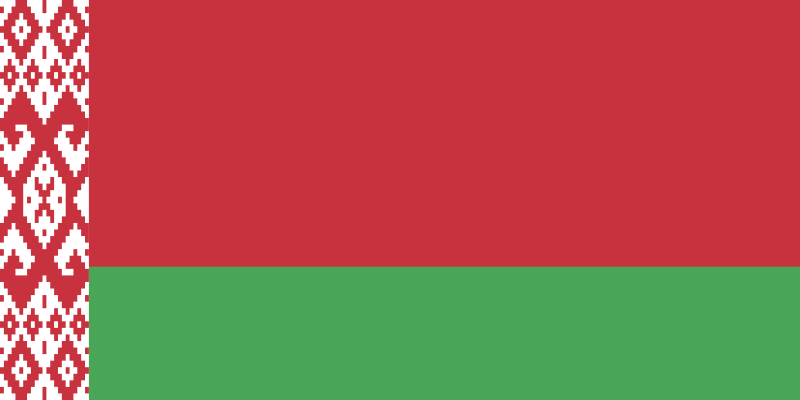 But if they manage to find the right balance between drama and kitsch - and hit the right notes at the right time - Belarus could possibly be looking at their second top ten finish ever. Absolutely. It comes as a relief at this point in the running order - after the Hungarian harmony overdose preceding it - and will surely make it through with quite a margin. Let's join hands and unite in a simple and uncomplicated song and maybe we can have peace on earth if you all sing along. Nicole did it, Petra Frey did it, Dina Garipova did it. Many people did it. But I'm no great fan of meek peace ditties. Singing alone will make no bigger difference, I'm afraid. The first plea for peace of the year comes from Hungary - a country I kept my eyes quite closely on lately, as it seems they are pretty determined to do well and actively trying to win the contest. I love a bit of ambition and an ESC held in Budapest would be among the loveliest things I could think of. After some really contemporary pop songs in a row, Hungary opted for a mild protest song about the pointlessness of war and I couldn't help but feel really disappointed with this choice. Perhaps the national final was slightly weaker this year compared to the last few editions - but still? But then Boggie isn't just any performer. She gained international recognition for her fantastic "Nouveau Parfum" and she has a way of imposing herself in an almost hypnotising way. Her chant is more than the average peace song and stays with the listener regardless if you liked it or not. Yes, thanks to the performance and presence of Boggie. Very confident and confidence is always attractive. Even when the song isn't all that. 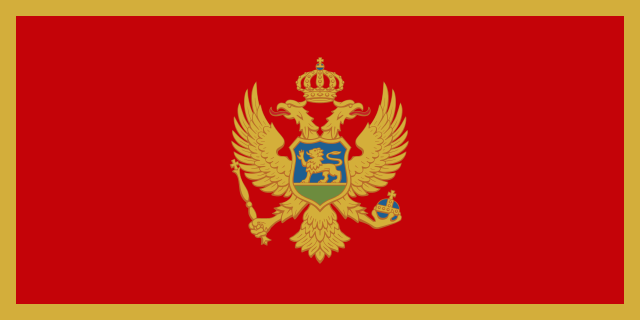 After sitting out for a year, Serbia decided to come back to the ESC with a bang - and what better way to achieve that than to ask their only winner to write the song for them? Vladimir Graić wrote three songs for three performers and Serbia decided to appoint the rather fabulous Bojana Stamenov to be their ambassadress in Vienna. In an unprecedented move, they also decided to have their song performed in English. Maybe some of the magic got lost in translation since the song - despite having more tempo than many others in the line-up - seemingly leaves no deeper impression. It is pleasant and enjoyable for as long as it goes on but then seems to vaporise from my memory. I find it surprising that the preview clip seems terribly determined to hide Bojana from view as she is the biggest asset this entry has. Maybe she can fill it up with the personality that the actual song seems to lack? Borderline, but possibly Bojana could make all the difference and get loved by the entire continent. Watching national finals can be most entertaining but you don't necessarily know an entry after seeing it win on home ground. All I could remember after seeing this one win the Skopje festival was Daniel Kajmakoski's yellow shoes. They were nice shoes. Cool. I wouldn't mind having a pair like that. But I couldn't remember the song to save my life. Some time later, I found the original studio version of it and melted like butter in direct sunlight. It opened up like a spring flower and I really enjoyed it, thinking this one will do well in the end. Then came the big makeover with a change of language and a major arrangement facelift. The new package was completed by a cute cartoon video clip and it seems someone has invested quite a lot of time (and possibly quite a lot of money) in this project. The new version is more professional and is more cleverly produced. It sounds slick and polished and radio friendly but it all came at a cost. Unfortunately most of the personality of the original studio version vaporised and the risk is that most people will enjoy this one for as long as it goes on and then forget about it. I especially miss the switch to uptempo after the chorus, which was a welcome climax that I find myself missing and longing for now. No. This one would have needed more of an edge in order to convince voters. 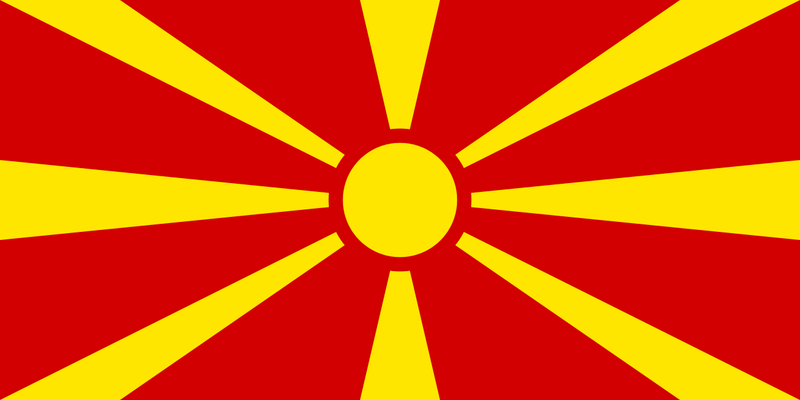 Also, FYR Macedonia has been notoriously bad at staging their entries lately and let perfectly good entries turn into a right mess on stage. A habit like that does not bode well for this one. Estonia at Eurovision is often like a tiny planet of their own, doing very much their own thing, seemingly without even contemplating whether the rest of the world will enjoy their songs or not. Not seldom, the world ends up quite appreciating the quirks of Estonia. And not seldom, their songs are really melodic, easy-going and truly likeable. This year they really hit the bullseye, managing to be catchy, modern and original at the same time. The fact that it's a duet singing about a broken relationship made several people compare it to the successful Dutch entry of last year, but that's a bit of a lazy comparison. If anything, it is a bit similar to this classy duet between Ville Valo & Natalia Avelon a few years ago. An early favourite to win the entire contest, but I doubt it will go all that way. The live performance is strong but reflects the distance and coldness of the lyrics, and perhaps a large enough portion of the audience won't get it or will feel rejected in turn. Yes. This is the first song of the first semi where I feel fully confident that this is a sure qualifier. And then my guess is that Estonia will have its first top five showing since Tallinn 2002. For many years it seemed the Greek party would never end. Come what may, the Greek entries would keep dancing on their beach all through the warm night and the points would keep coming in. Lately they have strayed a bit from the formula which, for me, has meant more interesting songs but not the same amount of success as Greece has enjoyed since the introduction of the semi finals. Last year saw the lowest placing ever for a Greek entry. This year, the Greek audience had a complete change of track and selected the most typical ESC ballad they've shown the world since Mandó's less than successful attempt in 2003. This song is a close relative to that one in style as well as in performance. Maria-Elena sings really well and belts it out convincingly, placing all the notes in their right places, but the song never evolves beyond being a clean-cut piece of machinery. It doesn't seem to mean anything to anyone, not even the singer. No emotion, no depth, only one huge, polished surface. As soon as it's over, you'll struggle to remember what it sounded like. Borderline. 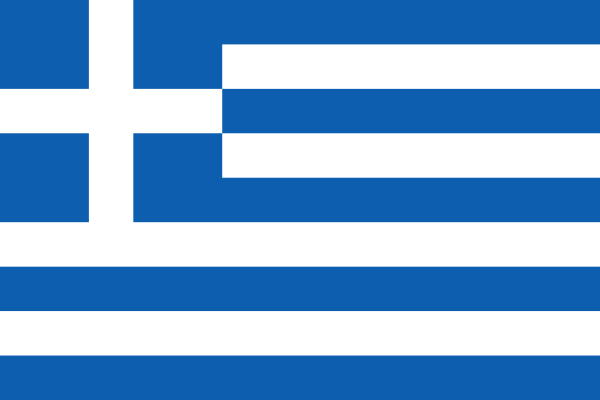 Greece has never failed in a semi final but there must be a first for everything. Unless this turns into an explosion of earnest raw emotion in Vienna, the Greeks could be up for a very unpleasant surprise. In case you haven't noticed, let me tell you that Finland is fearless when it comes to Eurovision. Having no fear is the positive side-effect of noticing you have generally very little to lose, allowing you to gamble a bit more than - say - Sweden or any other country with a large chunk of expectations on their backs. Also this year, Finland chose a slightly different path by entering 87 seconds of punk rock dealing with the nuisance of living in a home for people with intellectual disabilities, constantly getting told what to do and what not to do. Hardly an exhausted subject in the ESC. It is my firm belief that this is a song contest and that entries should be judged on some sort of musical merit, but this band touched the Finnish audience and have been vocal and present and making quite a point of their participation. Chances are they will break through the great wall of sound also in Vienna. Yes. Most probably. If there is one thing I have learned is that it is less important to be good and more important to be memorable, especially in the semi finals. And unlike several songs in the same semi, there is a fair amount of personality going on in this entry. Whether it is to your liking or not. It seems to me that many people are very keen to like the Dutch entries after they finally became successful again after many years of consecutive semi final failures. I'm the same, I've been listening with very forgiving ears, really wanting to like this one. I do like this one. It's a breezy and pleasant little song, well sung and with an easily retainable hook. But I can't shake the feeling that the Dutch really expected us to like whatever they served us this time around, making it rather easy for themselves. The song is good but never lives up to its full potential. Under-produced and under-developed. A snappier arrangement could have made a big difference, now it feels like it isn't progressing much or building up to anything special. The chorus is good but very repetitive and leaves poor Trijntje with pretty little to work with. In a parallel universe - like on the radio - this isn't a problem at all. Instead it makes a song easy to fit into a playlist, you can fade up or fade out at any point and it will suit most kinds of programming. At Eurovision you have exactly three minutes to impress people and that would be easier with a more outstanding song. Borderline. I would want to see it in the final, but it could easily end up in 12th place with some medium points from here and there, without being anyone's favourite. Ever since I saw his video clip cover of Sia's "Chandelier", I have been pretty excited about Loïc Nottet representing Belgium. I love that scent of raw talent paired with a touch of weird and an unpredictable sense of the unexpected. The Chandelier clip made me think of some of the more choreographed pieces Kate Bush made in her early career and that can never be a bad thing. All I feared was that RTBF - rumoured not to want to win ever since Urban Trad almost did just that back in Riga in 2003 - would set the young talent up with an average song in order to do quite well but not too well. Instead they had Wonder Boy write his own song and the outcome isn't bad at all. Personally, I'm over the moon with this entry and its vibe, seldom heard at the ESC. Unfortunately it reminds me that Eurovision isn't always the best place to showcase talent. You can be original and unusual but only in a way the larger audience can digest within three minutes. How user-friendly is this song really? And will it be doomed by its really unfortunate early slot in the running order? I think this song - given a solid performance and a better starting position - could score quite well in the final, possibly even make it into the top five. If it gets to the final, that is. I'm not at all certain it will survive its semi. Yes. I want this one to qualify. I need this one to qualify. Loïc is a terrific little pop star and my hope is that all Europe will be as smitten with him as I am. I'm just not ready to bet my house on it. One of Armenia's major tasks in the world is to advocate international recognition of the Armenian genocide taking place under the end of the Ottoman Empire, marking the creation of the modern Armenian diaspora. Since 2015 marks 100 years since the events took place, it isn't a huge surprise that Armenia decided to highlight this in their Eurovision entry. Armenian television has insisted that their entry is in no way political, but it is very easy to connect the dots here: the group highlighting that Armenians now live on all continents, the video clip showing families thinning out and - most of all - the original song title "Don't Deny", still being the key phrase of the chorus. Honestly, I don't care if this one could be considered political or not. In my ears it contains no message that could be seen as offensive or not acceptable. The problem is rather that the team got so caught up in their own message that they forgot to write a decent song to present it with. The final result is busy and confusing - with a surprising lack of melody - and the great danger that all members of the group will end up doing their best to out-perform the others. Chances are this could end up as shouty as when Saraleh Sharon and her group reached hurricane levels in Millstreet back in 1993. No. The competition for the ballad points on offer is severe and I can't see people warming to this one or even remember it by the end of the song presentation.